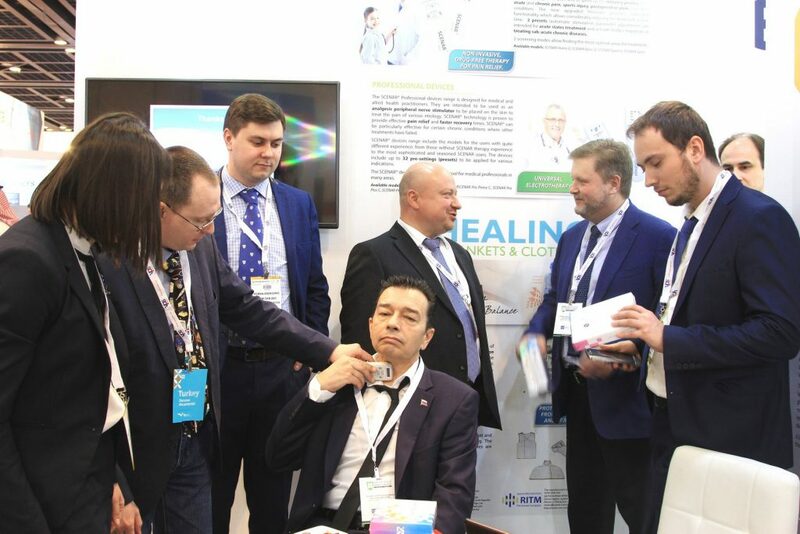 RITM OKB ZAO at the Arab Health 2019. 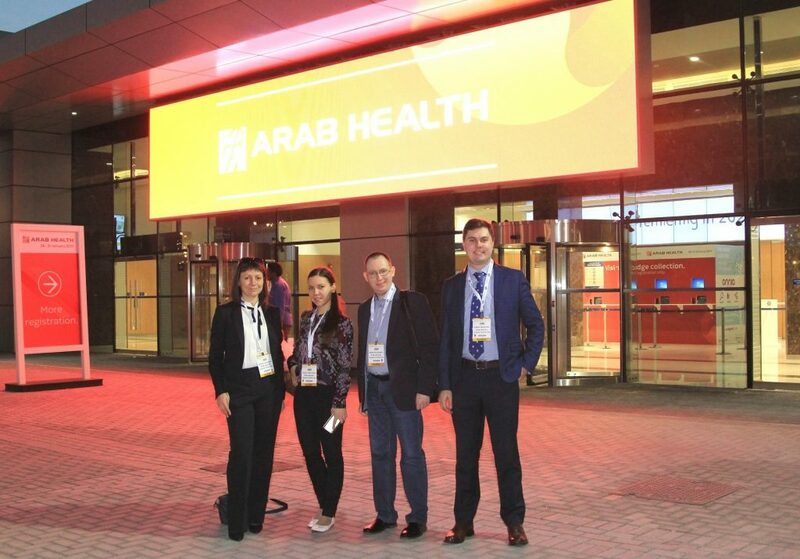 Arab Health kicked off yesterday at the Dubai World Trade Centre. Welcoming more than 84,500 healthcare and trade professionals to explore the latest products and services from 4,150 companies, Arab Health is where the healthcare world comes to do business. RITM OKB ZAO exhibits in the Russian pavilion. 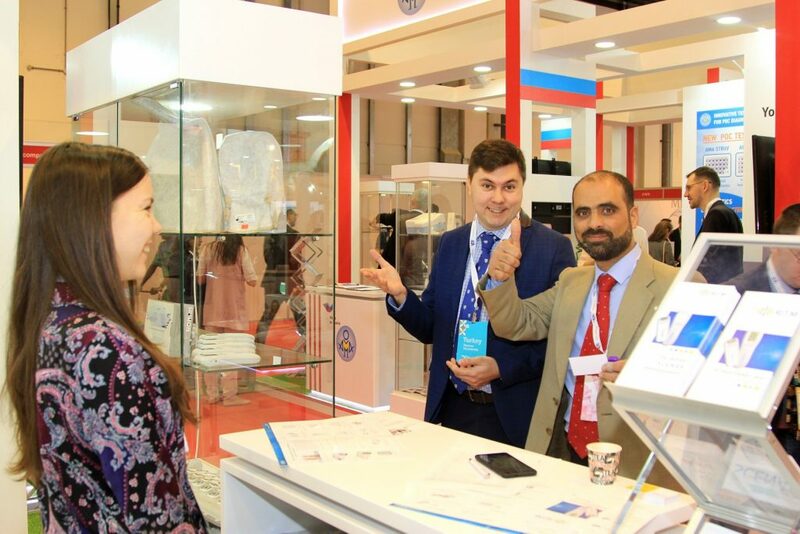 RITM OKB ZAO stand was visited by the Charge d’Affaires of the Russian Federation in the United Arab Emirates, by the Russian Consul General in Dubai and by the Trade Representative of the Russian Federation in the United Arab Emirates. The Charge d’Affaires was very interested in SCENAR technology and tried it’s efficacy on himself. He liked the treatment result and told that would definitely assist our business in the Middle East. It is needless to say that RITM OKB ZAO stand was very popular among visitors. Many of them have got free treatments and estimated the technology as very efficient. We have received many business requests and would definitely develop them.